Students at Florida’s Rockledge High School held a walkout on Friday in support of the Second Amendment. Florida Today reports that the walkout was organized by “Chloe Deaton, a sophomore, and Anna Delaney, a junior.” About 75 students participated in the event. 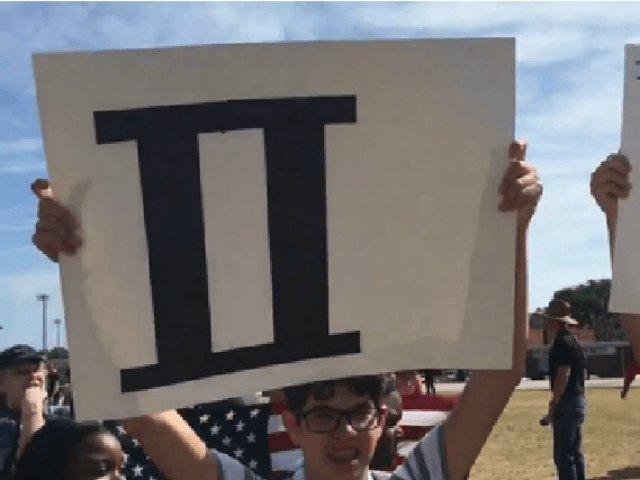 Some students held signs that said, “Guns don’t kill people, People kill people,” while others held other signs supporting the right to bear arms.